Dementia Australia recently called for shared responsibility between healthcare professionals and aged care organisations in the care of people living with dementia. But where do pharmacists fit into this equation? Dementia Australia CEO Marie McCabe said that a collaborative approach would allow for ‘clinical leadership’ and ‘evidence-based care’ in the treatment of people with dementia, notably the minimisation of antipsychotic medicine and restraint techniques. 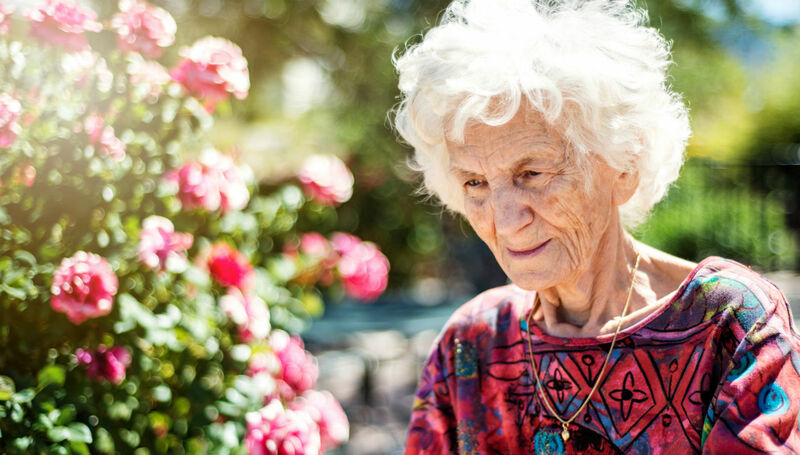 ‘A partnership between the person living with dementia, family carers, their treating doctor, pharmacist and other health and aged care professionals is crucial to providing alternatives to the use of antipsychotic medicines,’ Ms McCabe said. She also said that non-pharmacological options should be the first option in managing some of the symptoms of dementia that can be more difficult. Dr Andrew Stafford, Director of Dementia Training Australia and Consultancy Pharmacy Services, and an adjunct Senior Lecturer, School of Pharmacy and Biomedical Sciences at Curtin University, said that medication management for people living with dementia is a complex and challenging process, especially for carers. But, he said, all pharmacists no matter where they work have the ability to participate in shared care. Community pharmacists who assist with medication supply, can help by ‘filling their prescriptions, packing their medicines into dose administration aids, translating information about PRN (taken when needed) medicines and making sure that these medicines are being used appropriately,’ he said. Pharmacists who work in medication review roles in residential care can look for opportunities to deprescribe, identify the side effects of medicines that may exert adverse effects on cognition, or ensure antipsychotics and other sedatives are being used correctly – in low doses, for short periods of time and only when absolutely necessary. There’s also a role for hospital pharmacists, by making sure that medicines will not affect cognition and that any changes made to a person’s regimen in the hospital are clearly explained to carers when the person is discharged. As detailed in a previous Australian Pharmacist article about medicine overuse, PSA advocates for pharmacists to be placed in residential aged care facilities. ‘PSA has called for pharmacists to be embedded in residential care facilities to reduce inappropriate medicine use and help address the overuse of opioids and antipsychotics,’ said PSA Vice President and Chair of Policy and Advocacy, Dr Shane Jackson. MedsChecks and Home Medicines Reviews are useful services for carers of people living with dementia, Dr Stafford said. There are several ways that all pharmacists can have an impact on reducing antipsychotic use by people living with dementia, Dr Stafford said. Community pharmacists that pack medicine in dose administration aids can provide reminder services, helping to monitor antipsychotic medicine use. Pharmacists providing medication reviews within residential facilities can focus on antipsychotic medicines by looking at the duration of use, and whether there have been attempts to reduce the dosage through tapering and withdrawal. ‘They can also provide Quality Use of Medicines services to ensure that nursing staff know about the relative ineffectiveness of these medicines and the high degree of risk associated with them,’ Dr Stafford said. Pharmacists can help to find other ways to treat patients living with dementia, Dr Stafford said. Importantly, when they know the resident or person, alternatives to antipsychotic medicines can be determined by understanding what they are trying to tell you by their behaviour. ‘Rather than just giving a person an antipsychotic medicine, we need to figure out what the problem actually is and address it appropriately and specifically. So if the person is overstimulated, place them somewhere quieter. If they are bored, give them something to do that provides meaning. ‘What you need to do before you go reaching for the pillbox is make sure you’ve alleviated all causes for this person’s agitation, aggression or distress,’ he said. Previous articleLaudanum – a panacea for all human woes?